A precious stone as clear as diamond. Seek it out when the suns near the horizon. Though you can walk on water with its power. Try to keep it, and it will vanish in an hour. What am I? 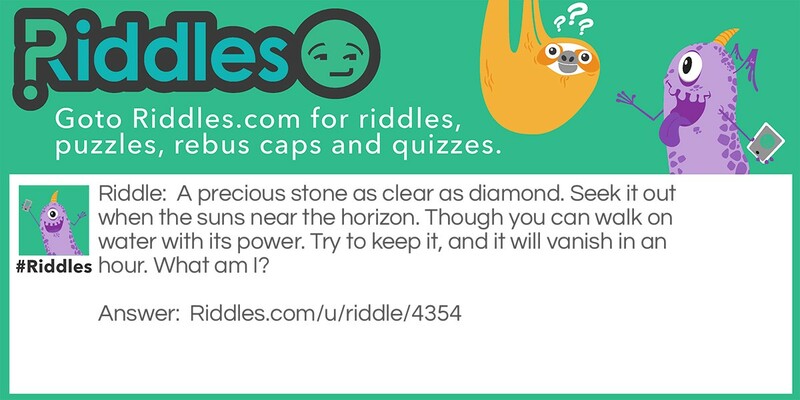 Stones Riddle Meme with riddle and answer page link.